Last week, I showed you how to treat spider veins. 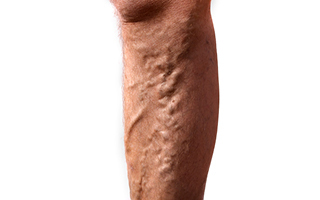 This week, I want to tell you about varicose veins. If you suffer from varicose veins, you probably know that you have a few options to treat them. If you have a mild form, your doctor may suggest that you wear support stockings to help prevent bulging and reduce strain. Or you can treat them with sclerotherapy, a treatment that destroys the damaged veins so other veins take over. For severe cases, your doctor can remove the veins from the leg altogether with two small incisions. However, treating one case of varicosities provides no guarantee that other varicose veins won't develop. And it's always best to do what you can to avoid developing any varicose veins in the first place. Fortunately, there are some safe ways to prevent and treat varicose veins. Because varicose veins are difficult to treat, you may need some or all of the following treatments to get rid of them. First, examine your diet. You should be eating a well-balanced, high-fiber diet full of raw and steamed green vegetables and fruits. The phytochemicals in these foods keep blood vessel walls strong and healthy. And you probably know you need to avoid fried foods and hydrogenated and partially hydrogenated fats and oils. There are plenty of reasons for this, but one is that excess fats can contribute to circulatory issues. If you've already developed varicose veins, try topical apple cider vinegar to help improve circulation and pain symptoms. Saturate a cloth with the vinegar, wring it out slightly, and apply it to the affected area for 15-20 minutes. Repeat twice a day for a month. Supplements also can help. Black currant seed oil, borage oil, evening primrose oil, and flaxseed oil all contain essential fatty acids, which help decrease pain. Try taking 500-1,000 milligrams twice daily. Vitamin C and bioflavonoids can help as well. Bioflavonoids strengthen weak blood vessel walls and improve the health of connective tissue. Take a combination formula that provides 1,000 milligrams of vitamin C, 100 milligrams of rutin, and 100 milligrams of mixed bioflavonoids three times a day. Some people do experience loose stools if they take high doses of vitamin C. If you experience this, cut back the amount you are taking slightly. If you take the recommended dosage without a problem, you can gradually increase your intake to the highest level your body can tolerate. You also can try the herb hawthorn, which contains both vitamin C and bioflavonoids, as well as zinc and sulfur, which contribute to healing. Choose an extract standardized to contain 1.8% vitexin-2 rhamnsodies, and take 100-200 mg, three times a day. 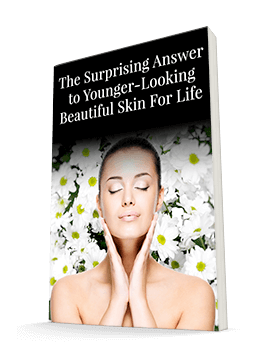 Next week, I'll show you a few more treatments that can work wonders.